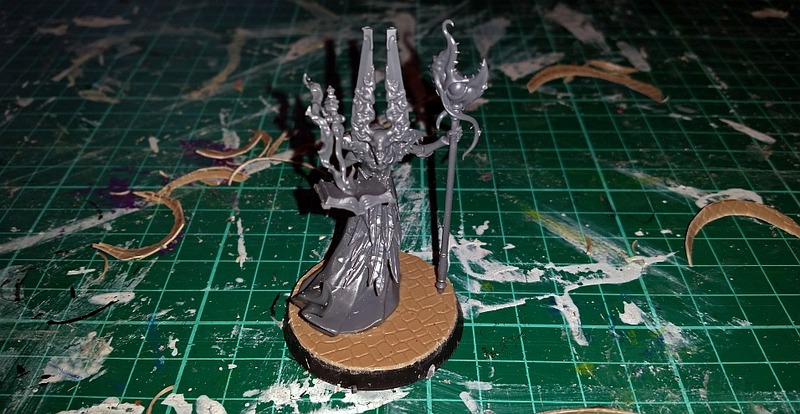 Thrower: The Silver Tower is the abode of a mad wizard, designed to chew up and spit out heroic interlopers by the dozen. Yet its first victim was small and personal: my finger. After looking in the box, I pulled the sheath off my craft knife for the first time in a decade and immediately slit a digit open. It didn’t bode well for the three-hour assembly time I’d heard boasted of on the internet. What you get in this box is a literal plastic kit with assembly instructions, like scale models of tanks and planes. There is even a dwarf with a multi-part beard to glue together. 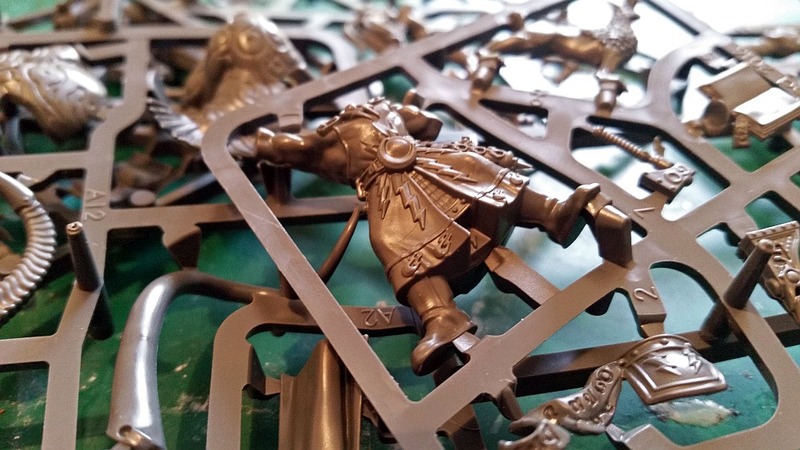 But I was swayed by the fond memory of twisting whole plastics off sprues in my Warhammer days, so I figured I could handle it. Plaster on finger, I dusted off my other modelling tools and set to work with one simple question in my mind. 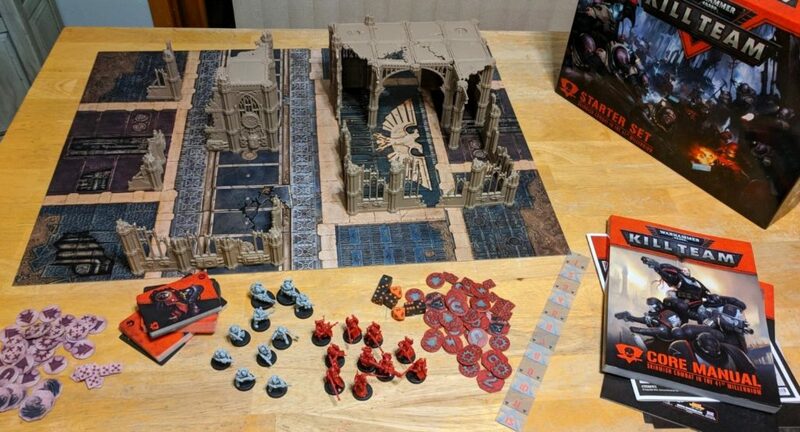 Could this board game be worth it? It took a lot longer than three hours, although I made my life difficult by basing the figures as I went along. A sop to the dream that there might one day be time to paint them. With practice, the second half proved easier, faster than the first. And there’s a particular childish pleasure in bodging them together, seeing creatures leap to life beneath your fingers. For the results are spectacular. Figures of intricate, absorbing detail, caught in dynamic poses like an action photo. Figures which, in some cases, feel a little fragile for board game use. That feeling extends to everything else. The tiles and cards look fantastic but they’re thin and flimsy. The rules read quickly and simply but in practice they’re a mess of half-truths and contradictions. After one play it seemed like this game was an afterthought tacked on to a box of miniatures. But after a second play it clicked: the long, messy prep process was a primer in how to approach the game. Set your grown-up desire for perfection aside, and let your imagination take over. 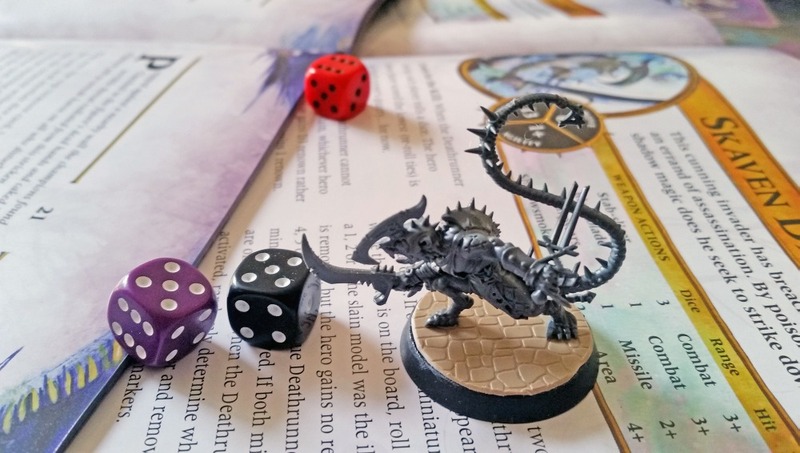 As a game, Silver Tower is almost too simple. Players roll dice for their character and can use a further pool of shared dice. You then spend these dice to take actions. Any dice will do for basic ones like moving and exploring. Special ones like attacking and casting spells require higher values. When heroes take wounds it reduces the number of dice they roll. 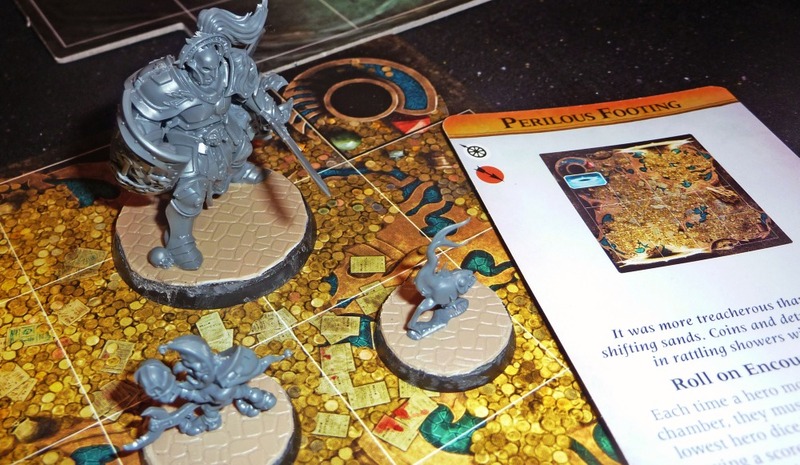 The game moves in fits and starts, with heroes trying to clear the board of monsters and gain “respite” when they can search for treasure and heal. Decision wise, this could nearly play from a flowchart. There are so few complications that it seems incredible there are so many uncovered edge cases. 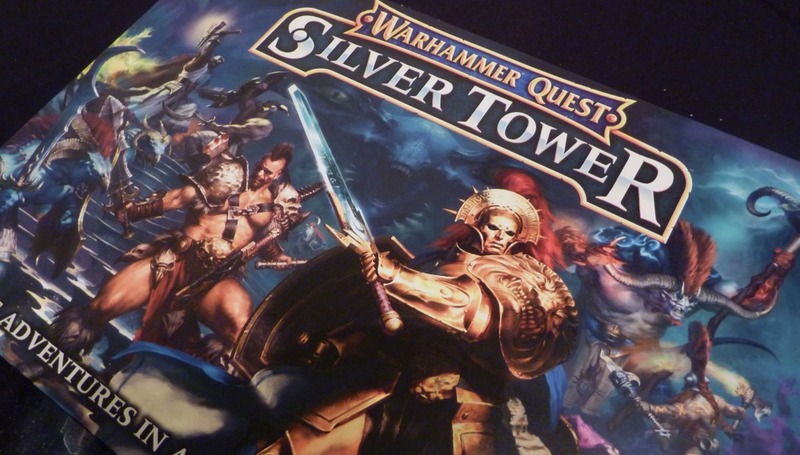 Whether you enjoy Silver Tower will often come down to whether you can make up your own resolution and move on. It’s a co-operative game after all, so joint interpretations of the rules should be easy. The key is to remember that in spite of all appearances you’re not playing a tactical combat game. 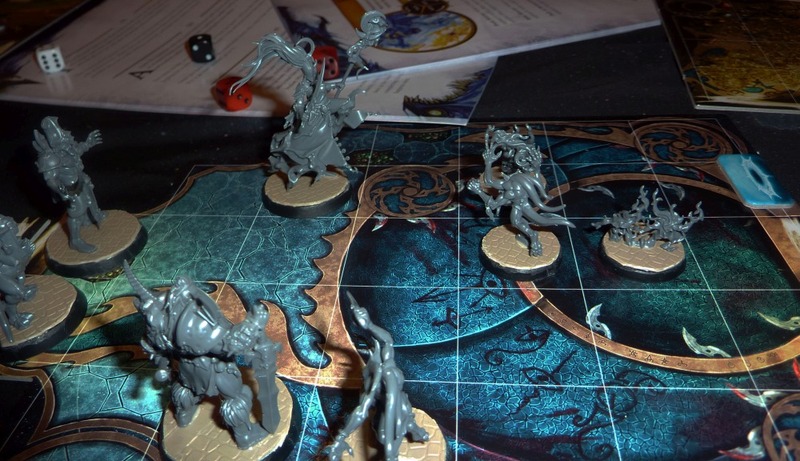 You’re playing a storytelling game with miniatures. Remember when Quinns reviewed Tales of the Arabian Nights? Remember how rich and wonderful it seemed even though your choices had little impact on how it went? 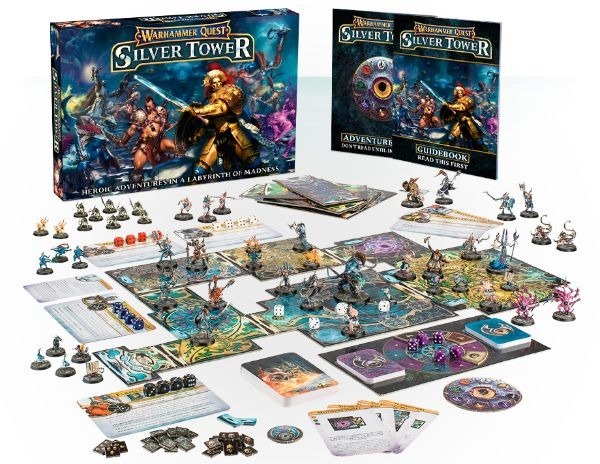 Imagine that, recast as a dungeon crawl and you’ve got Silver Tower. There’s even an adventure book with numbered paragraphs, corresponding to dice rolls and certain dungeon tiles. High on solvent fumes during the long hours of trimming and gluing you’ll feel the temptation to read this. Don’t succumb! That book may be slight but it’s the beating heart that makes Silver Tower special. Each scenario starts and finishes with a crisply-written paragraph, wrapping the action in narrative. Some of the random events you’ll roll between are quite pedestrian but get veiled in a bizarre premise. You don’t just meet allies in this game: huge mouths open in the walls and vomit them onto the table. 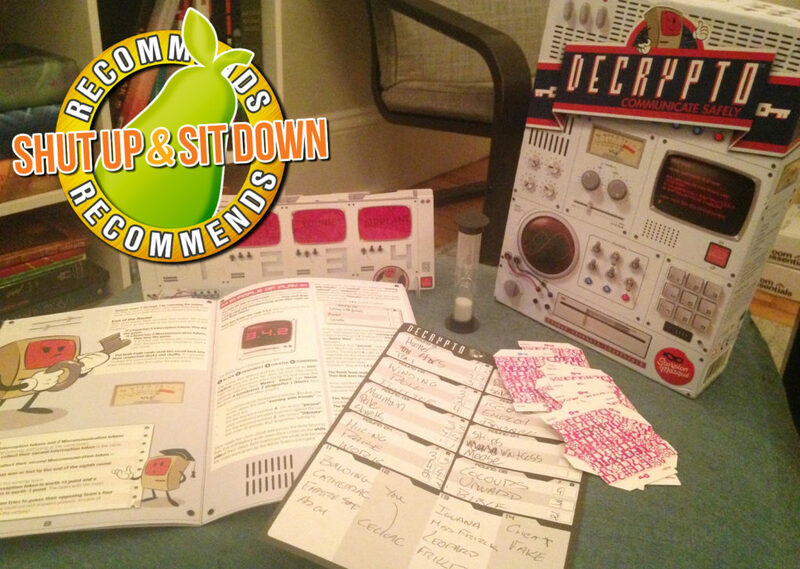 Better yet, the book contains a variety of actual puzzles and mini games. On one tile we found a trapped chest. In any other game this would involve a skill check or suchlike. In Silver Tower we had to grab a face-down treasure card, stack two dice on top, and try and slide them off without making them fall. For that moment we weren’t playing a game. We were in a crazy labyrinth, nervously trying to unpick the mechanisms of a deadly trap with our sweaty fingers. The book also ensures the relatively small pool of dungeon tiles in the box serve a variety of roles. Each scenario instructs you to build a deck of certain exploration cards, each of which corresponds to a tile. Many cards also have a book paragraph number on them. So what might be the Sodden Chamber in one game can be a Maddening Pursuit in another, depending on what number you’re instructed to read out and what foes you’re told to place there. Furthermore the cards get re-dealt into two piles each time you come to a split in the path. In most dungeon games you just pull tiles off the top of a stack with your goal somewhere near the bottom. You’re guaranteed to find what you’re looking for eventually. Here, at each junction, you divide the cards and, in doing so, fix your fate. Take the wrong path and you might die before you find your goal. There’s even a chamber with a portal in the floor that removes all other paths. Leap at your peril. 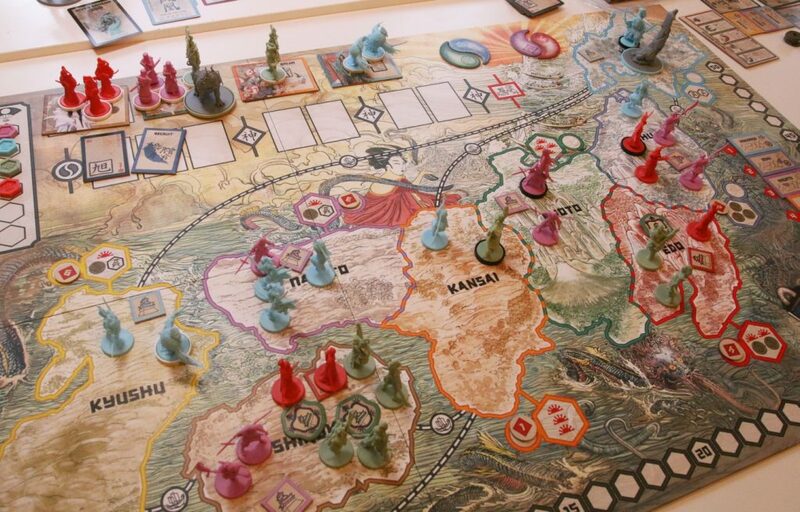 This way that they’ve structured exploration is a teeny tweak to how board games usually manage it, but a profound one. It ensures the game exudes a genuine sense of exploration rather than just counting down tiles against a timer. Imagine if the procedurally generated galaxies of No Man’s Sky were unique to your copy rather than shared on a server. The game would be the same. But that sense of wonder, of discovery when you find something that no-one else has seen would be gone. 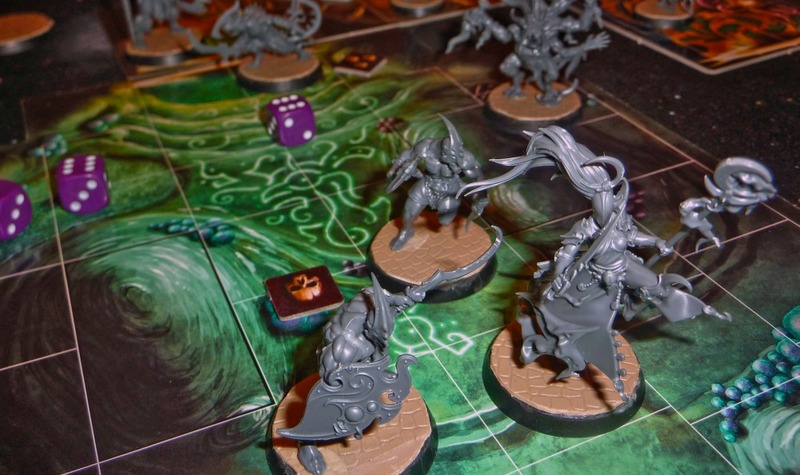 Silver Tower is like that, except with more slithering chaos daemons. “Chaos” is absolutely the spirit of the game, such that those dice spilling everywhere feel fitting rather than frustrating. Not just in combat and the adventure book. Enemies you meet are often rolled from encounter tables, and their actions are then rolled from AI tables unique to each monster. So although there less than 10 scenarios in the campaign, all the randomness ensures they’re playable over and over. But that doesn’t mean there’s no progress or stability! If you like, heroes can carry over a small selection of skills and treasures between games. But heroes don’t come to the Silver Tower for stability. You come for the toys, for the mad maze on the table and in the mind, its dusty corners full of childlike wonder. In this age of elegant rules to extract deep strategies from detailed games, the simple pleasure of play is often forgotten. The Silver Tower isn’t just a dungeon, it’s a time machine, sending its inhabitants back to their childhoods. It’s a more magical and a far scarier place than you might remember.